Two ATCs from the scraps 232 and 233! 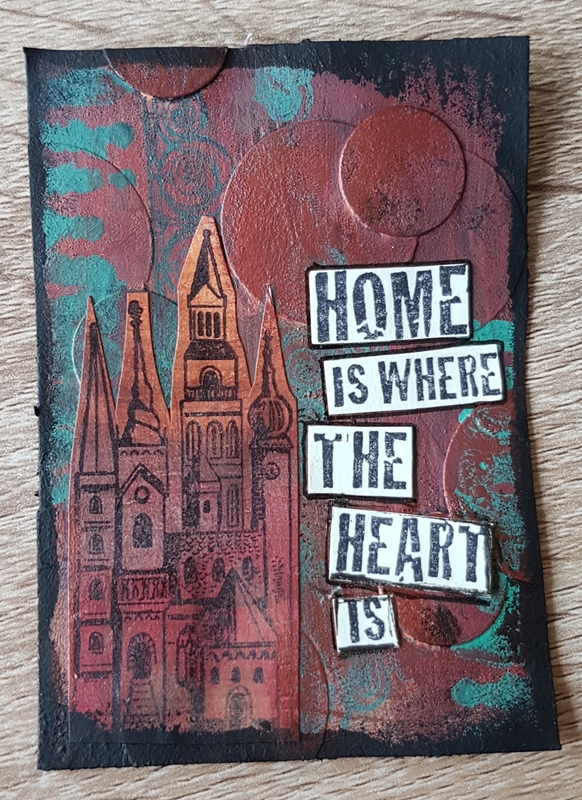 Today I’ve got another video for you … this time of two ATCs I made this weekend from scraps and gifted punched papers. … and the finished articles which I love are here. Particularly love the treasure gold shine against the mahogany and Green Patina paints. Scrummy! 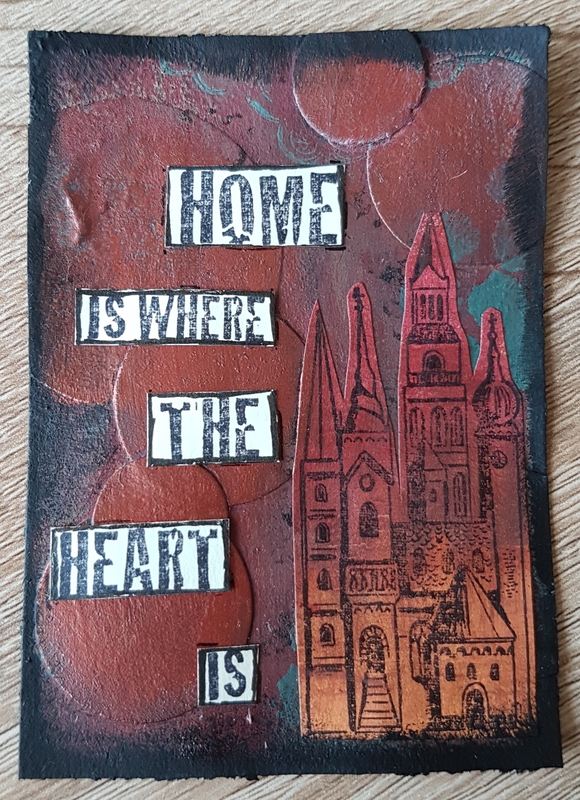 Also love the turretted castle stamp from ArtJourney.nl … Particularly when stamped on ombre paper like this.